80 minutes total.These classic stories epitomize what is meant when Jesus said, “Let the little children come to me and forbid them not.” They open the doors for discussion about eternal truths and provide a context for children to exercise faith in their Savior at an early age. 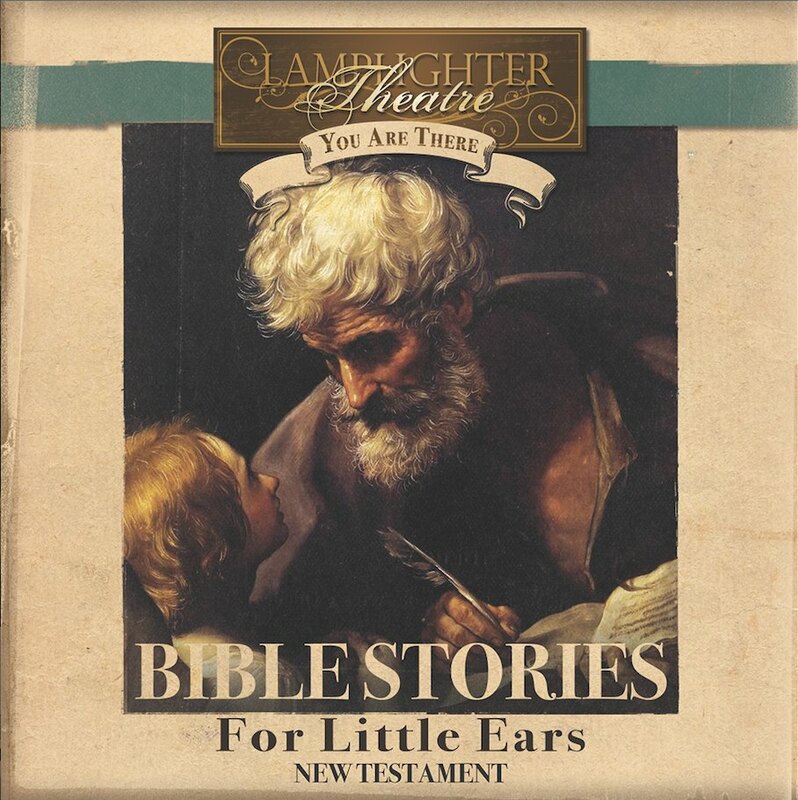 Music, sound effects, and dramatic reading make Bible stories come alive for young children. Written and told so young children ages 1-6 will understand and be inspired, these stories will open the doors of their imagination. Children will love these classic recordings and play them over and over again for years to come. LET THE LITTLE CHILDREN COME UNTO ME FOR SUCH IS THE KINGDOM OF GOD.